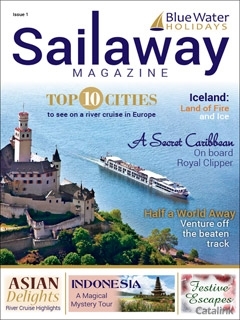 View the Sailaway Magazine 1 Online Brochure Now! The first issue of Sailaway Magazine features the latest cruise news and exclusive reviews of stylish ship Viking Star and magnificent five-masted Royal Clipper. Destination pieces focus on the dramatic landscapes of Iceland, the ‘Land of Fire and Ice’, the sublime islands of Indonesia, scattered like jewels amongst a vast expanse of ocean, plus river cruising in Europe and Asia.